Snipplr.com is like del.icio.us for people who write a lot of code. Snipplr covers almost every language from ASP, ASP.NET, PHP to Ruby, Django or AS3. With Snipplr you can keep all of your often used code snippets in one place that’s accessible from any computer. By that way, You can save your time by finding a source code as per your project need. 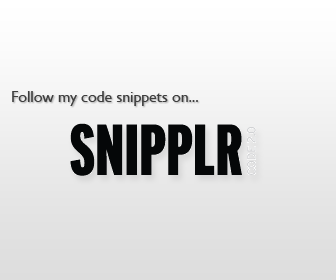 Snipplr is one of my favourite sites for finding and sharing code snippets.